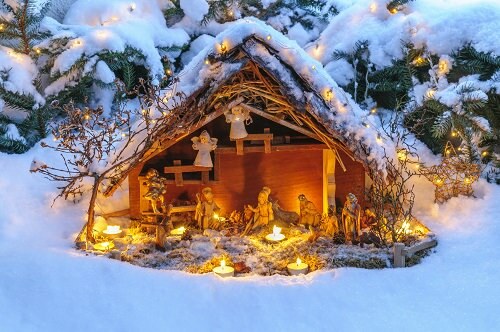 Every year people around the world look forward to the opportunity to enjoy nativity scenes. When you’re in Paris during Christmas season you can enjoy them in Parisian churches. Most big churches prepare installations that are either animated, or inspired by local history or even contemporary. When you come to any church you’ll be amazed at the beauty and greatness of the nativity scenes. The figures may vary from small to life-size, which are more appealing and exciting. Try to visit several different churches to enjoy modern, traditional and baroque installations. Notre-Dame Cathedral and Saint-Sulpice Church, Madeleine Church prepare new nativity scenes every year. Fééries d’Auteuil is also a great place to visit on Christmas and enjoy not one but several different Nativity scenes that together compose an exhibition.